“Just keep moving; in any way, shape, or form…just keep moving! Martha was born in Washington, DC, but has lived all over the world. She received her PT degree from University of Florida after her undergraduate education at Amherst College. She has been providing unique and compassionate care to her patients at PBJC since 1995. Martha’s area of love is treating the spine and she works wonderfully with those who have chronic spine pain and dysfunction, though she loves the challenge of any injury! 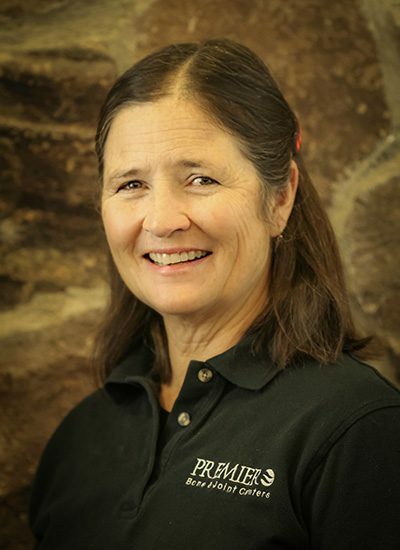 Outside of work, Martha is an avid horseback rider, loves hiking, gardening, and spending time with her family.